My son was killed in a pipeline explosion 7-5-10. There are many old lines that are only a few inches in the ground, because of years because of top cover erosion. A shallow covered gas line is more dangerous than an exposed one!!! This was the case of my accident. After the accident, several lines in my immediate area were found to be totally exposed!!! What about the ones that are not covered to the proper depth and are seldom inspected. The federal pipeline administration is a joke. They have no idea how to do their own investigation, the rely on the pipeline companies to tell them what happened or what to do. As it has been said, THE PIPELINE COMPANIES ARE FUNDING TO MUCH MONEY TO THE AGENCIES THAT REGULATE THEM. For those who have not heard about that very unfortunate event, WDRW.com wrote 5 July 2010, Pipeline explosion injures commissioner, kills son. See also Georgia pipeline safety record worse than in Florida, which has links to other incidents and to Pipeline Safety Tracker by ProPublica “Journalism in the Public Interest”. A view taken from an Air Med helicopter shows the fire Monday from a gas line rupture near Stagecoach Road in Thomson, Ga.
And remember FERC is funded by the very utilities it regulates while the Pipeline and Hazardous Materials Safety Administration (PHMSA) takes its basic definitions and publicity materials from the American Petroleum Institute. 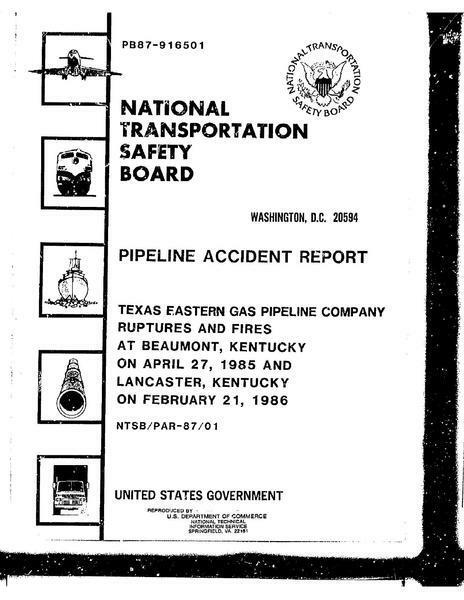 One federal agency that does do real pipeline accident reports, including causes, is the National Transportation Safety Board (NTSB), if the accident happens to be near a federal highway, like Spectra’s April 1985 explosion in Beaumont, TX that “killed at least five people, gouged a 20 foot deep crater and flattened six buildings in a tiny community, igniting fires that were visible 20 miles away”. But what about all the other incidents and pipelines that don’t happen to be next to a federal highway? Wouldn’t it make more sense to get on with solar and wind power, which don’t explode? By Spectra’s own numbers, solar would take half the acreage to produce as much power as that proposed pipeline. Solar power production is already increasing far faster than shale gas, and there are already more American jobs in the solar industry than in coal mining, or in production and non-supervisory jobs in oil and natural gas. 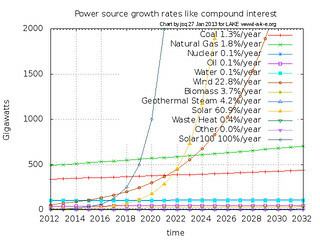 Solar is going up like compound interest, like a rocket, and within a decade more U.S. power will come from solar than any other source. Why waste resources on fossilized exploding power when we can go straight to clean, no-fuel, no-water solar power that doesn’t take anybody’s land and doesn’t explode?